Map of the Middle Mekong Basin and the three tributaries (Ou, Seuang, and Khan rivers) in Luang Prabang province being surveyed for MMAP’s archaeological sites. The Mekong River is one of the world’s great rivers, but very little is known about its prehistoric human settlement. 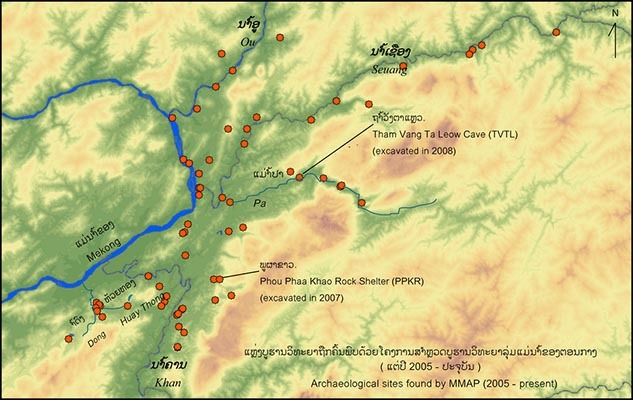 The Middle Mekong Archaeological Project (MMAP), conceived in 2001, seeks to investigate human settlement of the Mekong Valley with a research program beginning in Luang Prabang in northern Laos. Since 2005, MMAP has conducted a groundbreaking collaborative research program of international researchers in this area, including surveys that have identified 85 archaeological sites and excavations at four cave sites. This archaeological fieldwork has yielded thousands of stone and ceramic artifacts, human skeletal remains, and other evidence from over 13,000 years of human habitation in the area. MMAP seeks to resolve long standing archaeological debates on when and how metallurgy and agriculture came to Southeast Asia. This project is also helping budding Lao archaeologists and museologists to build capabilities for Lao cultural heritage preservation, by offering training in archaeological disciplines concurrent with research activities. 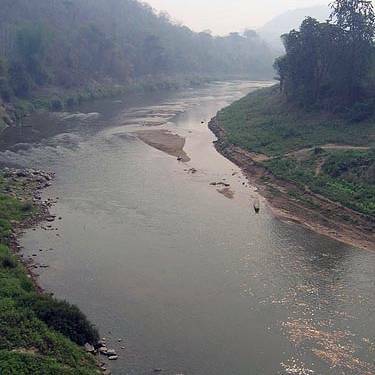 Before MMAP, there was enough historical and present-day evidence to show that the area around Luang Prabang was rich in the kind of prehistoric remains that, over time, could help put together more pieces of the cultural puzzle in the middle Mekong. 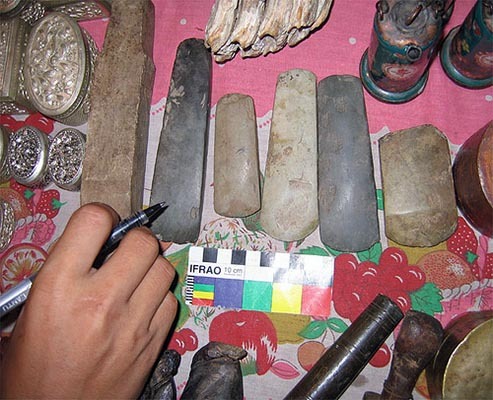 During the pre-World War II colonial era, French scholars wrote about collecting many stone and bronze tools and ceramic artifacts of prehistoric origin along the Mekong River and its tributaries in Luang Prabang province. 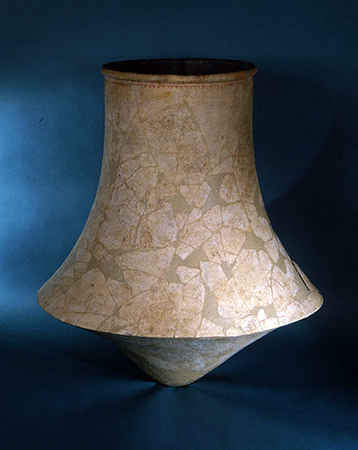 As some research resumed in those areas in the 1990s, archaeologists and others continued to find similar artifacts. In only a three-day period, Dr. White saw signs of over 10,000 years of human occupation in a very small geographic area, including at least one potential habitation site, hundreds of polished stone adzes, and numerous ceramic and bronze artifacts. Why was MMAP looking in Luang Prabang province and not somewhere else? 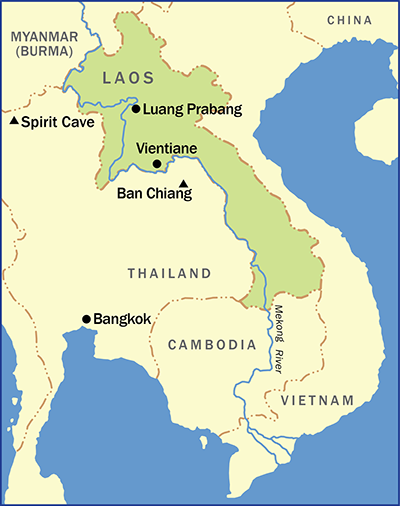 Luang Prabang province lies in the heart of the middle Mekong River basin, in northern Laos. China is to the north, Vietnam to the north and east, and Thailand to the south and west. As an area at the core of Southeast Asia, yet one that is virtually an archaeological terra incognita, northern Laos can provide some missing puzzle-pieces in several theories on how settled societies developed in the region. Clues to “migratory” vs. “independent/indigenous” theories of agricultural development? Some archaeologists argue that the Mekong River could have provided a path for migrating rice cultivators from the Yangtze River basin in southern China, who then introduced this type of agriculture to the middle Mekong area. If this concept is correct, then it means that downstream peoples in mainland Southeast Asia began to live in agricultural settlements later than people in China, and did not do so until influenced by outsiders. But data from northern Vietnam indicate that at least some Southeast Asian agricultural communities might have developed independently. Because of its geographic location, northern Laos–and particularly Luang Prabang province–is likely to hold answers to the debate over these alternative possibilities. Links to the Ban Chiang cultural tradition in Thailand? 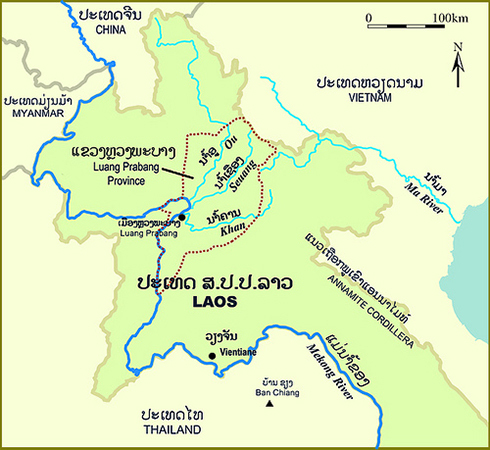 MMAP hopes to find out if agricultural development upstream in Laos might have been related to that of the Ban Chiang cultural tradition sites downstream. Ban Chiang cultural tradition sites also lie in the middle Mekong basin, but on the opposite bank of the river in northeast Thailand. These sites have been studied for more than four decades. The Ban Chiang tradition has the oldest agricultural societies found in the middle Mekong so far, although the date and source for its beginnings are controversial. Dr. Joyce White is Principal Investigator for MMAP, and Co-director of MMAP in Laos. Her career has focused on multi-disciplinary investigation of the human past in Thailand and Laos, especially in the middle reaches of the Mekong basin. She is particularly interested in the Middle Holocene, that period between roughly 6000 B.C. and 2000 B.C. when agriculture and metallurgy first appeared in Southeast Asia. Mr. Bounheuang Bouasisengpaseuth is Deputy Director of the National Museum in Vientiane and Co-director of the Middle Mekong Archaeological Project (MMAP) in Laos. His research interests are Lao prehistory and the protection and conservation of Lao cultural heritage. 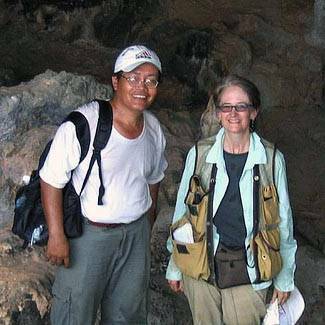 Mr. Bouasisengpaseuth first worked with Joyce White on the 2001 rapid assessment survey in Luang Prabang Province that provided evidence for over 10,000 years of rich archaeological heritage in Laos and direction for MMAP work. Read more in Antiquity, Vol 83, Issue 319, March 2009.